MEET: 7.30am – Athlon Drive heading south. 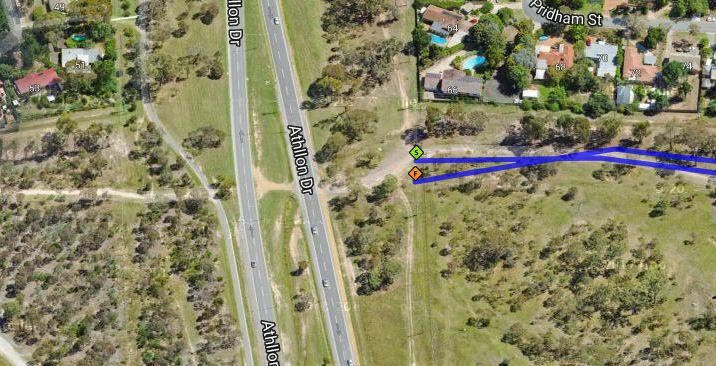 Just past the last houses in Farrer, turn left at dirt road to small car park (Image). Head over animal barrier and follow dirt trail behind the houses. Head up hill to water reservoir and keep to main trail. Once leaving bush and near Yamba Drive take a sharp right and go under Yamba Drive and veer left. Stay on the fire trail through the Isaacs pine plantation; the plantation finishes and houses of Isaacs are on your left.